As in all walks of life, if you are visiting a casino for the first time there are certain rules that you will be expected to observe. Etiquette rules center largely around politeness, patience and restraint as in other social settings. However, it is useful to look at specifically how you will be expected to dress and behave in a casino setting as this will enhance your enjoyment and will ensure you do not spoil the game for other players. Many of the points apply to specific games such as casino etiquette blackjack and casino etiquette slots where manners and understanding of the rules go a long way. 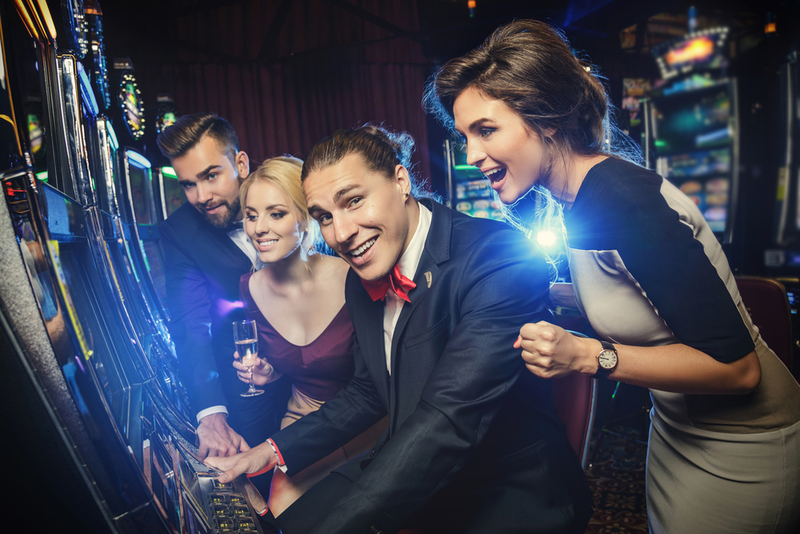 Casinos are no different from other venues where you may be refused admittance for inappropriate dress, so check in advance either on their website or by giving them a call if you are unsure about the dress code. Before you join in with a game ensure you are clued up on the rules. There is plenty of advice and guidance online although obviously it is different when you play in real life, but you can pick up cues from watching games online such as the fact that some games, for instance blackjack, involve using hand motions to indicate moves. Some casinos also have help sheets available so learn all you can before you sit at the table then you can join in relatively quickly. When you have played enough games you will see that seasoned players are calm and polite and don’t flare up if they lose so always keep your emotions in check. Although it is acceptable to ask for a little advice you will quickly ascertain it is not appropriate for you to offer advice to others or comment on or criticize their moves. Always take your time to be seated and don’t push in or jostle other players however keen you are! Casinos have certain rules about where you are allowed to take pictures so make sure you understand this, and if you do need to take a call make sure you step away from the table. Taking calls is discourteous and distracting to other players, so make sure you avoid using your mobile if at all possible, or that you do this discreetly. There are certain rules to be observed depending on which game you are involved in. For instance cards that are dealt face-up shouldn’t be touched and those face-down should be handled with one hand. Always refrain from handling another player’s chips as this is a serious breach of etiquette, and never ask others at the table to watch your chips if you need to step away for any reason. If you only have a vague understanding of the stakes, or don’t know what they are, it will be impossible to play effectively and will irritate other players. Although other table members will not mind giving a little advice every now and then it will disrupt the game if you don’t learn some of the basic rules, so try and find out as much as you can in advance. A basic rule of gambling is to always ensure you have decided how much money you can afford to bet and that you stop at the point you have gone through your allocated budget. A casino experience should be fun and enjoyable so ensure you know exactly how much you are willing to spend – then walk away. Casinos are exciting environments, but if you drink too much you will obviously impair your ability to play and win and you may begin to have a bad effect on other players. Therefore, try to limit your alcohol intake so that you can keep a sharp mind and so that you can enhance your own enjoyment and that of your table. Dealers will normally expect to be tipped with a small amount – between 1 and 10 dollars or pounds – when you have finished playing a table. So factor this into your winnings and get into the habit of tipping dealers as this is standard casino etiquette. Although you obviously won’t have to follow a dress code, online casinos also conform to some of the etiquette points mentioned above, such as taking time to understand the rules of a particular game, avoiding outbursts and ensuring you manage your bankroll effectively.